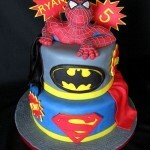 Last week I posted a rather awesome Superhero mashup cake featuring Spider-Man, Superman and Batman. It seemed like people enjoyed the cake (and why wouldn’t they with as awesome as it was?) 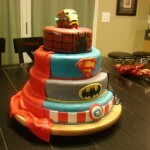 so I thought I should post this cake which is equally as cool if not more so! 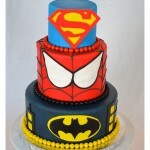 This superhero mashup cake features Superman, the Hulk, Spider-Man and Batman. 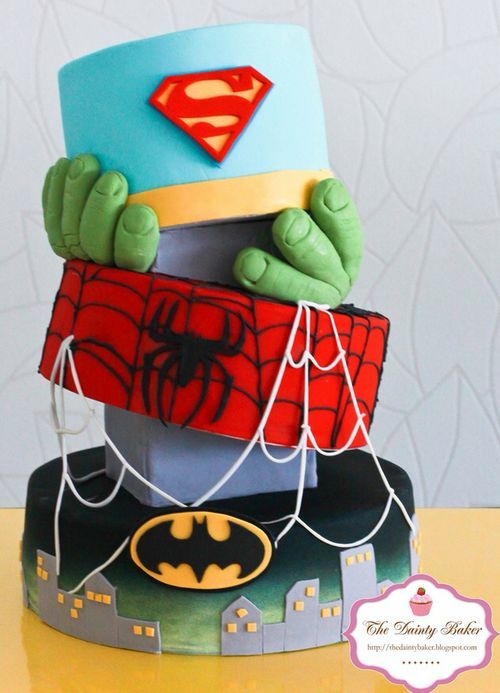 This clever cake (I love the Hulk hands holding the Superman tier) was created by the clearly awesome cake makers at The Dainty Baker. 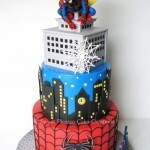 I’d say they did a pretty super job as the detail on this cake is quite impressive! Its not everyday you see a cake that has the Gotham cityscape on it! 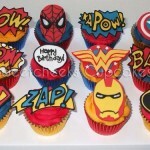 Share this with any superhero fans you know! 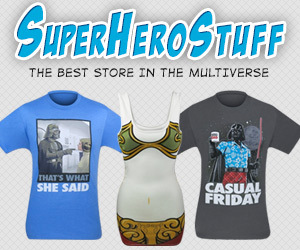 Make sure to share this with your social networks with the buttons below too!